Take a heart-pumping ride through the snow-covered trees while marveling at the sparkling snowscapes. Seven Springs offers daily one-hour guided snowmobile tours at 10:30 a.m., 12:30 p.m. and 2:30 p.m., weather permitting, because snowmobile tours require natural snowfall on the trails. For reservations and more information, please call (800) 452-2223, ext. 7899. Holiday rates are in effect Dec. 14, 2018 - Jan. 1, 2019, Jan. 18-21 and Feb. 15-18, 2019. 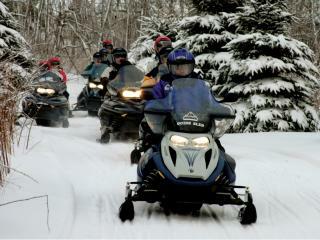 You must be 18 years or older with a valid driver’s license on the day of your tour in order to operate the snowmobile. Space is limited for these tours and reservations are required. Have your own snowmobile? Check out our trails! 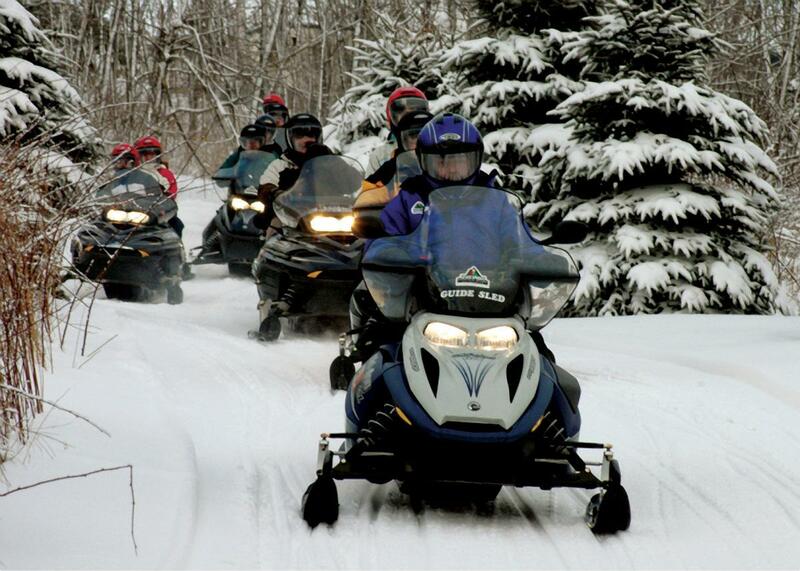 Devoted snowmobile owners will find miles of trails open to riders throughout Forbes State Forest any other state parks. Hit one of the trails and enjoy the variety of terrain and wide-open expanses along the way.